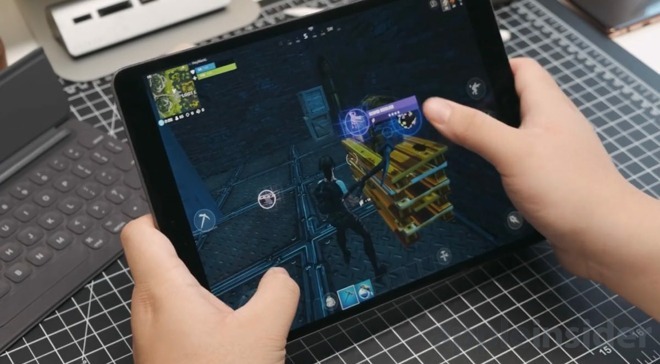 The new 2019 iPad Air retails for $499 and goes all the way up to $779 for a 256GB, Wi-Fi and cellular model. We've been using this iPad as our daily tablet for the past few days to watch YouTube videos or catch up on some shows on Hulu, answer emails and doodle some artworks for fun. Before Apple announced this new Air we regularly used the 10.5-inch iPad Pro from 2017 which physically looks identical to this new iPad Air, minus an extra set of speakers at the top, and a camera flash on the back. This new iPad Air, as we mentioned, has new internals. 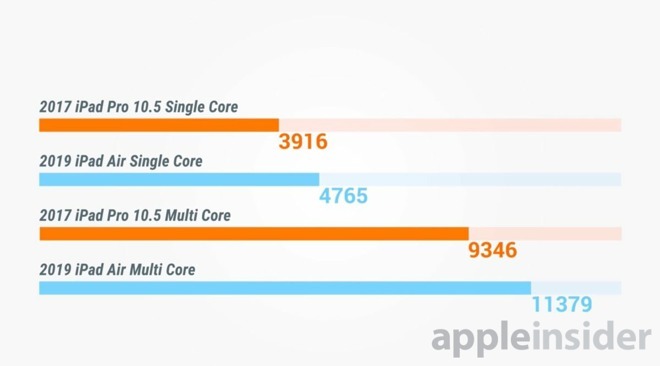 It's using the A12 Bionic processor found in iPhone XR, XS, XS Max, and the new iPad mini 5 so it's reliable, and fast. I didn't notice any slowdowns whatsoever during my testing. It also has a new display that's more color accurate and one that looks way better than any of the previous models. It also now supports the first generation Apple Pencil. The two speakers are powerful and loud, as they have always been on an iPad. But, like with most iPads, you're likely going to cover at least one speaker with your hand, muffling the sound a bit. The new Air also features a smart connector on the right hand side of the device to use Apple's Smart Keyboard. We think it's the best keyboard you can buy for the iPad, even though it feels a bit mushy at times, but for whatever reason, this feels right to us. There are hundreds of Bluetooth keyboards available on the market, but if you're looking for the best, the Smart Keyboard is the one you should consider buying. The new iPad Air is pretty great. You're getting a really fast processor, amazing display, first party keyboard support. With the iPad Pro, you're getting ProMotion display which gives you a 120Hz refresh rate versus the 60Hz found on the Air. This makes the UI feel more responsive to your touch and has some other niceties when drawing with an Apple Pencil. Two, you're getting an extra pair of speakers which is notably better for consuming media or playing music —and if you cover one with a hand, you lose less than you are if you cover one of two speakers on the iPad Air. And, you're also getting a slightly better rear camera with an LED flash if iPad photography is your thing. The difference in processing power between the A10X Fusion and A12 Bionic is slight, but the A12 Bionic has a lead. Regardless, the A10X on the 10.5-inch iPad Pro is still a powerful processor that can handle anything you throw at it. From Pro apps to graphic intensive games, you're not going to be disappointed with either model's performance. 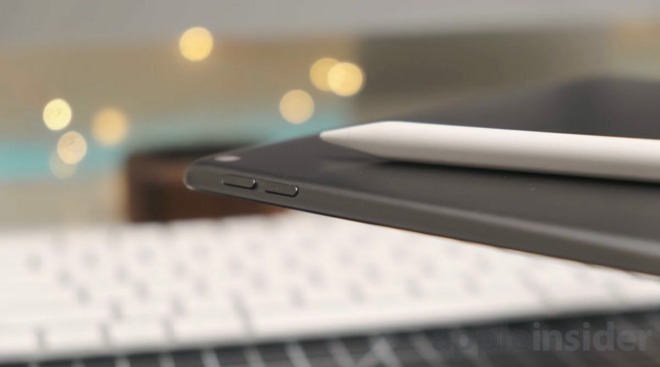 Both models support the first generation Apple Pencil, so this is a dead heat. Unless you use the half-inch Lightning adapter, you've still got to hang the Apple Pencil off the iPad like an expensive lollipop stick, instead of the magnetic wireless charging on the 2018 iPad Pro lineup. 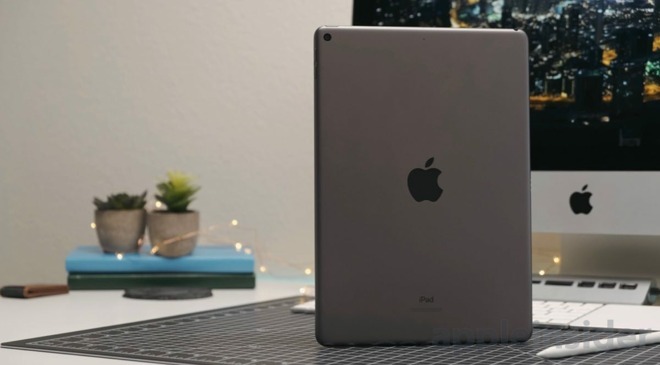 If you're looking to purchase your first iPad and you don't want the new iPad mini or the regular 9.7-inch iPad or just don't have enough money to buy the new 11-inch or 12.9-inch Pro models, look into the 2017 iPad Pro. It's almost the same price, if not a bit less expensive than the new 2019 iPad Air, plus you're getting a much better display with ProMotion, four speakers, and a slightly better camera. 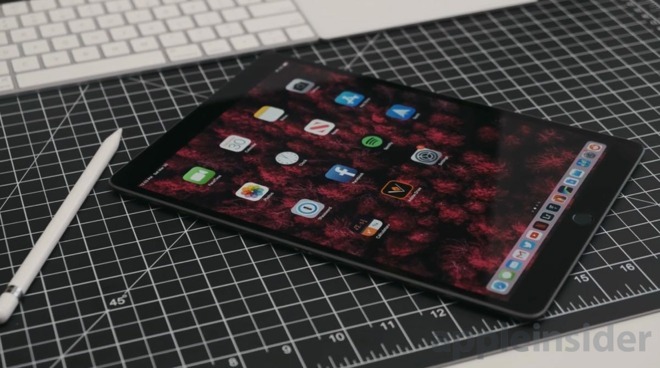 Apple authorized resellers are currently accepting orders for the new 2019 iPad Air and iPad mini 5 with discounts of up to $10 off. Meanwhile, Apple's 2017 10.5-inch and 12.9-inch iPad Pros are up to $380 off instantly.